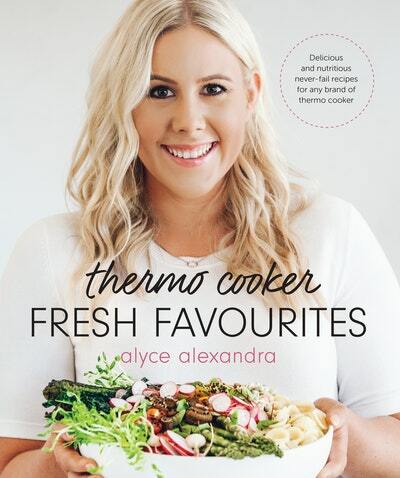 Alyce Alexandra, Australia’s thermo-cooking queen, shares with you her fresh favourites – real-food recipes celebrating seasonal produce, made doable and delicious in any brand of thermo cooker. These recipes are all about fresh, but also all about flavour! There are tasty pizzas, pastas, curries, cakes, burgers, breads, drinks, dumplings and more, all with fresh twists and all sure to satisfy. You’ll be eating healthier, saving money, wasting less and doing your bit for the environment with these quick and fuss-free recipes – including freezer-friendly meals, hearty dinners, baked goods, fermenting and preserving ideas, and guides for how to use up leftovers. 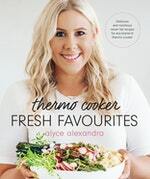 Love Thermo Cooker Fresh Favourites? Subscribe to Read More to find out about similar books.